The only thing better than a cordless hoover is a cordless hoover with the adaptability to perform well in a variety of situations. 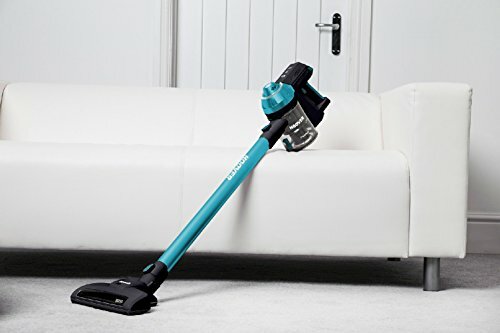 And, thanks to the included accessories and its fantastic build quality, the Hoover Freedom can make your life a lot easier – especially if you’re still using a conventional vacuum. We recently received the unit to try out; and, we’ve got to say, it’s worth the money for those of you who are in the market for a cordless hoover but don’t want to sacrifice the performance of a corded model. One of the first things we noticed when the Freedom arrived was just how lightweight it is. 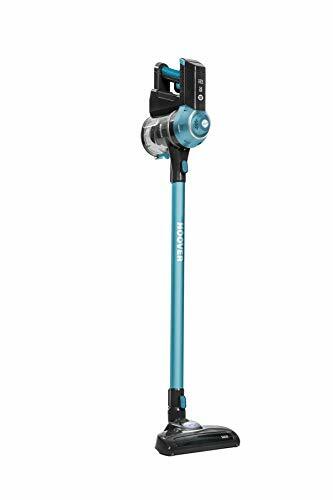 When we took it out of the box, we were amazed that – even with the battery and pole attachment – it still felt easy to carry up and down stairs, and especially easy to manoeuvre during use. At 2.2kg, it’s definitely one of the least awkward hoovers we’ve ever had the pleasure of trying out. Speaking of the battery, the Freedom has a Lithium NIMH unit which is significantly lighter than its lead acid or alkaline competitors. Not only that, it also happens to charge much quicker, and the performance degradation is much less severe – meaning that you’ll be able to get a decent standard of use out of it for a much longer period of time. The Freedom is designed to excel in versatility, and so Hoover has provided several useful extensions to make all cleaning tasks easier. Alongside the pole and wide nozzle, there’s also a rotating brush/turbo pets brush. That last one has rotating bristles which can be used to penetrate into fibers, making it easier to loosen things like pet hair embedded in your carpets or furniture. Another really nice touch is the fact that a wall mount and appropriate tools have been provided, meaning you can hang the hoover up when you’re not using it (as opposed to letting it slump in an unused cupboard somewhere). In fact, it looks surprisingly good mounted – we even felt that it added a little flare to our otherwise drab hallway! In practice, this is an excellent vacuum. 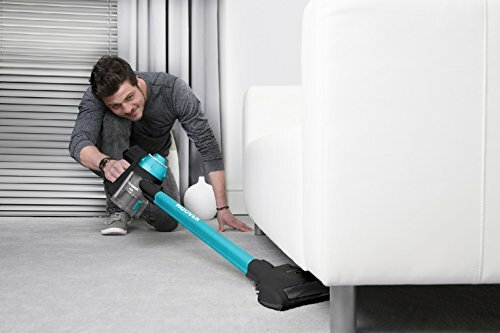 In the time that it might take you to get your old hoover out of the cupboard and plug it in, you can already be halfway through vacuuming your living room. The Hoover’s 22V Cyclonic Separation technology allows for the separation of dust and – supposedly – a less regular maintenance requirement. We found, after a few weeks, that a fair amount of dust had got trapped around the filter. This wasn’t a particularly big deal, as it didn’t take too long to manually clean, but it did clog up quicker than we had expected. In terms of its actual vacuuming performance, we found absolutely nothing to complain about. Our house has carpets and hardwood floors, and the results were as good as any I’ve seen with standard corded vacuum hoovers. It felt like even the task of hoovering itself became much easier and quicker, because we didn’t have to lug a massive unit behind us. Really, for small home owners, this is a win-win. Those of you who need to hoover stairs regularly are going to notice a massive difference, too. In fact, readers with pets who would like to be able to quickly and easily hoover every day will struggle to find a better option than this. The fact that it can be hung up on the wall for ease of access meant that I didn’t really mind doing 5 or 10 minutes of hoovering when I got home after work; compared to the prospect of pulling my old hoover out the cupboard, extending the power cord, plugging it in, and then putting it all away again after I’d finished with it, a 5 minute vacuuming task really only ended up taking 5 minutes. One slight inconvenience of the hoover is the fact that it takes around six hours to charge, and then can only be used for around 25 minutes. While this wasn’t an issue for me – as I can easily go over my house in 25 minutes with time to spare – I can imagine that the power reserves won’t be quite enough for readers with larger homes. Overall, the suction on the hoover is fantastic, and there really is no more convenient way to efficiently take care of dust and pet hair in your home. The price tag might be a bit steep for your liking, but you will find that the investment is justified if you decide to pick one up. The modern and obviously well thought-out design of this hoover is a testament to fantastic engineering, and it really can make your life a lot easier in the long run.